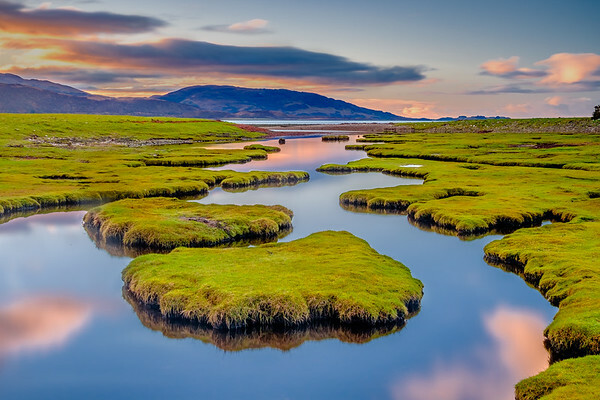 A December sunrise at the salt marsh at Sallachan Point, with reflections of cloud in the still water. 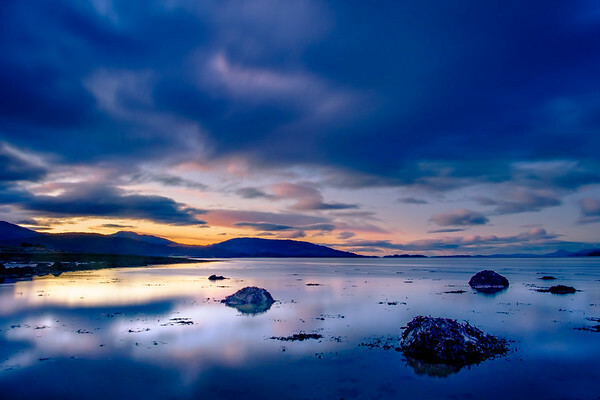 One hour before sunrise and light from the sun begins to show behind the Argyll hills of Meall Ban and Beinn Sgluich to paint the sky, as well as the still waters of Loch Linnhe. 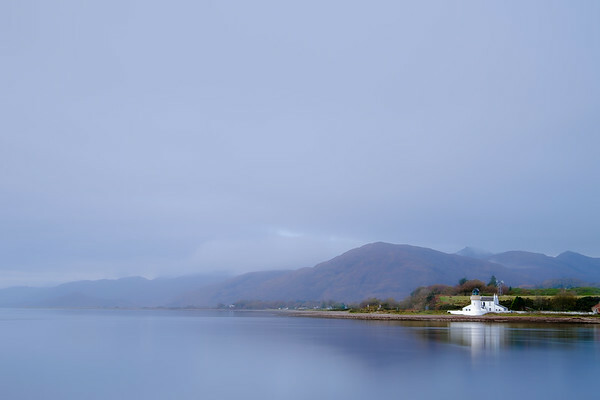 The Corran Lighthouse emerges from clearing morning mist, to sit within a serene of sea and sky and be reflected in the calm waters of the Narrows. As the light fades at dusk, the two of the three peaks of Sgurr Dhomhnuill (Sgurr Dhomhnuill and Sgurr na h-Ighinn) stand bright in their white coat of late winter snow. As the light fades at dusk, the three peaks of Sgurr Dhomhnuill (Druim Garbh, Sgurr Dhomhnuill and Sgurr na h-Ighinn) stand bright in their white coat of late winter snow. The view from the top of Druim Glas, looking east through Glen Gour to the Aonach Eagach beyond, with the southern flank of Sgurr Dhomhnuill lit up by light from a break in the cloud. 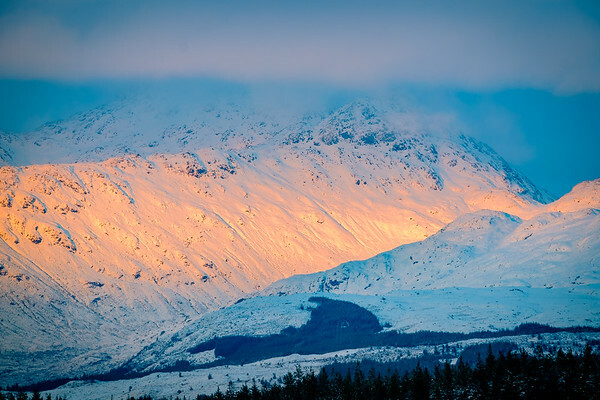 The last light of a winter's day falls on the southern flank of a snow covered Sgurr Dhomhnuill (Donald's Rocky Peak). 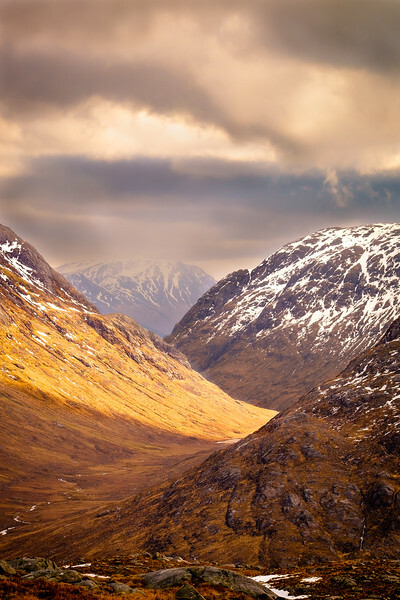 At 888m (2,913 ft) it is the highest mountain in Ardgour. 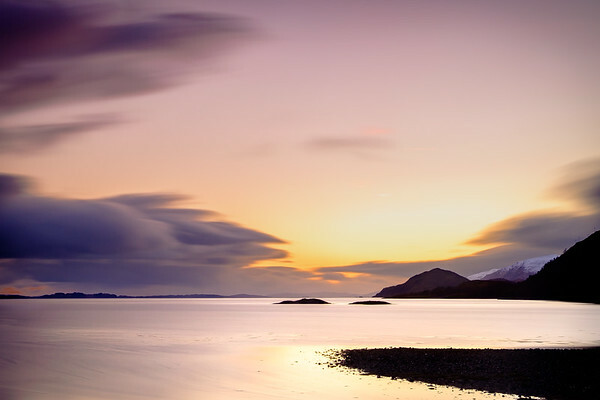 What better way is there to end the day, but with a ferry trip across the Corran Narrows while watching the sun go down behind snow-capped mountains. Wonderful, absolutely wonderful. 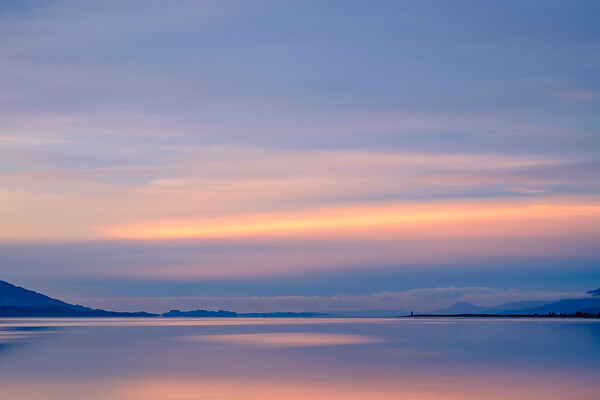 A winter sunset at Camas Shallachain, looking south-west towards Inversanda and the peak of Cnoc Smuidean. 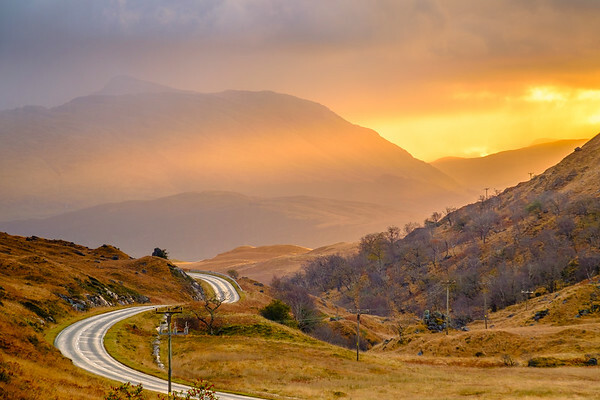 A winter sunset at Cams Shallachain, looking south-west, beyond Beinn Leamhain, towards Inversanda and the peak of Cnoc Smuidean. 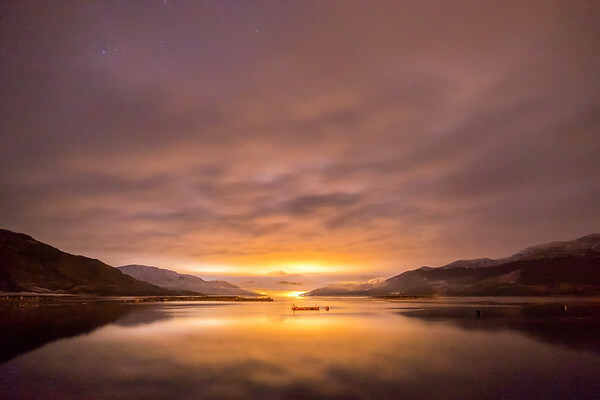 After dark, the lights of Fort William illuminate the clouds above Loch Linnhe and the light reflected from them gives the water between Ardgour and Fort William a beautiful golden tint. 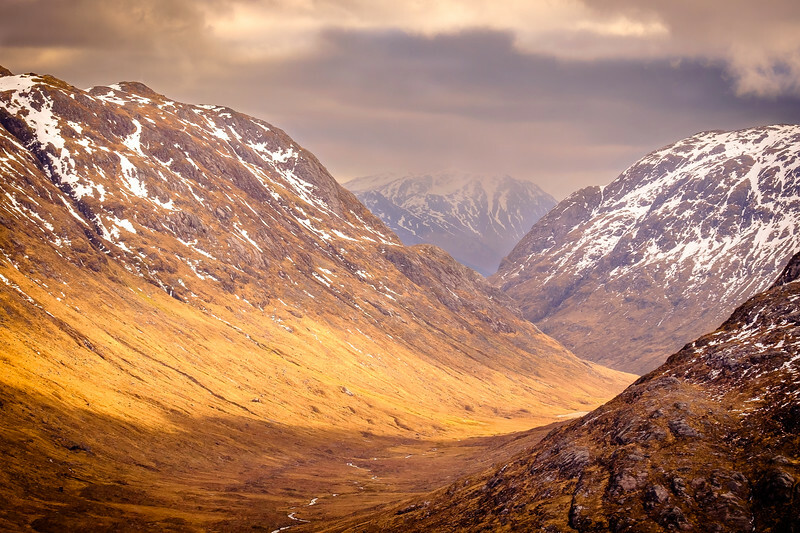 A magnificent morning in Glen Tarbert looking to Beinn a’Bheithir (Mountain of the Thunderbolt) and one of its two Munro peaks, Sgorr Dhonuill. 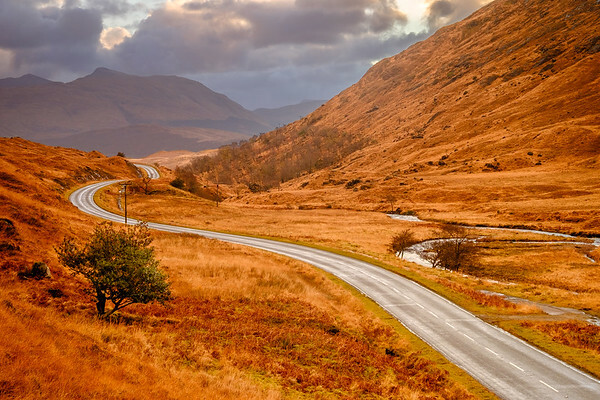 As the sun rose on a November morning, its light really brought out the golden colours of Autumn on the hillsides of Glen Tarbert. It was a moment that lasted for only a few brief minutes. 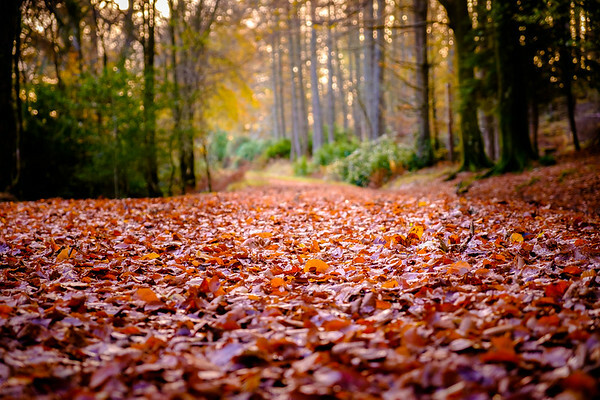 The “Autumn leaves lie thick and still” in the woodland around the lochans at Ardgour. 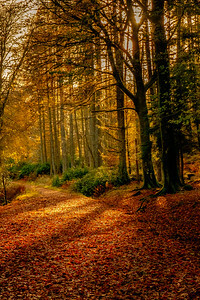 The light of the late afternoon sun filters through the trees in the woodland around the lochans at Ardgour. 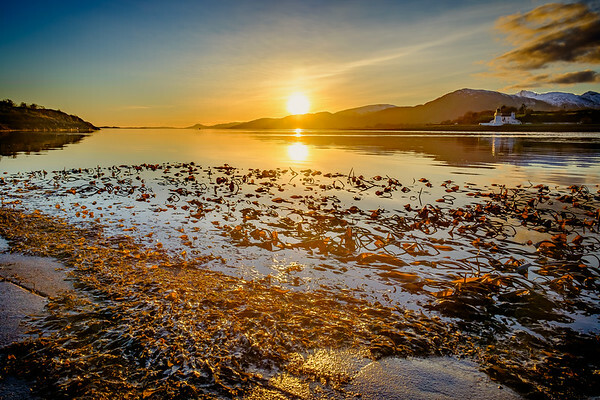 In November the sun rises well towards the South-East and casts its first light over the mountains of Glencoe and into the entrance of Loch Leven at Ballachulish.